Mixcloud featured in Music Ally Sandbox – The global community for audio culture. 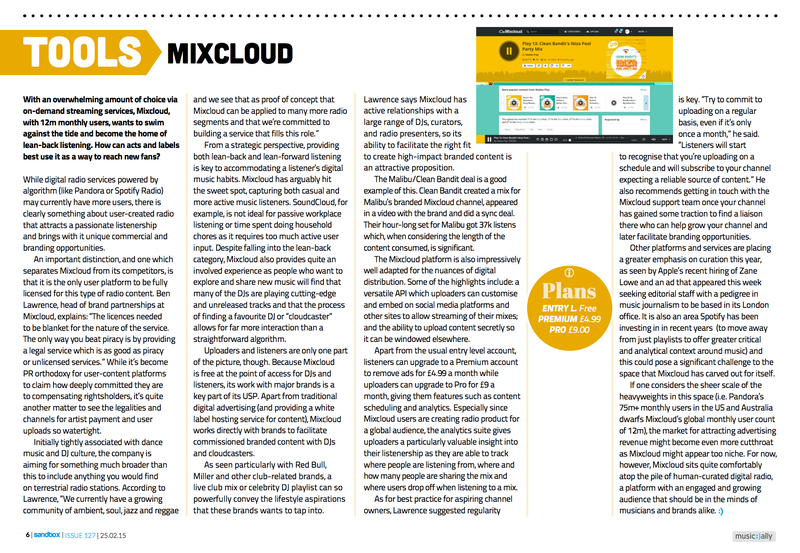 Mixcloud was featured in the Tools section of Music Ally‘s weekly Sandbox publication on February 25. Speaking to Ben Lawrence, Head of Brand Partnerships at Mixcloud, they put together a thorough and useful overview of the Mixcloud business – including how the platform works, our business model and how we are differentiated in the market. Click the image below to read the full piece. Music Ally is a music industry information and strategy business. They run an awesome news update service which we highly recommend checking out. Click here for more details.